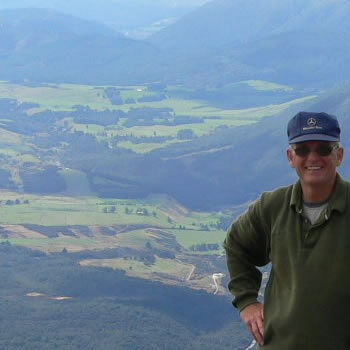 My name is Robert Boren and I live in the Marlborough Sounds on the South Island of New Zealand. I have a Bachelor's Degree in Physics and a Master's in Space Operations with a strong background in software development. After retiring here in 2000, I decided to use the extra time to expand my PC knowledge and got into web development as a creative outlet. As you can see, I also enjoy tramping the picturesque countryside and playing with cars which led to some of my early club websites. I really appreciate clean, contemporary design with modern use of typography and hope my websites convey that. I use my diverse background, skills and knowledge to develop efficient, standards compliant websites to best meet my clients needs at a reasonable cost. Let me show you how I can help you establish a presence on the Web. Please check out my portfolio and contact me for personalized service.